Posted January 18th, 2019 by Mobile Music School & filed under Educational - How to Guides. Our music classes in primary schools respond extremely well to the clap, sing, play model. 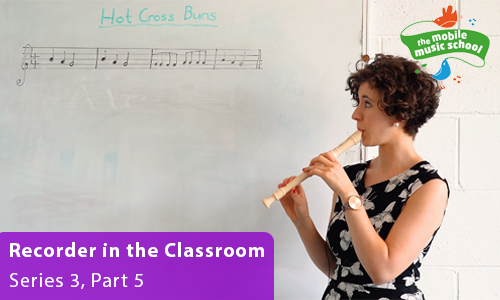 Now that we’ve been introduced to ‘Hot Cross Buns’, we’ll now learn how to incorporate quavers! Remember the notes B, A and G for these following music lessons. Time to play it on the recorder now! We would love the opportunity to come and share our passion for music education in primary schools with even more students this year. Please get in touch with us today to discuss our music classes in primary schools, or to arrange for us to drop out. Our monthly newsletter is jam packed with the latest Mobile Music School news and monthly lesson plans. Copyright © 2017 Mobile Music School. All rights reserved.